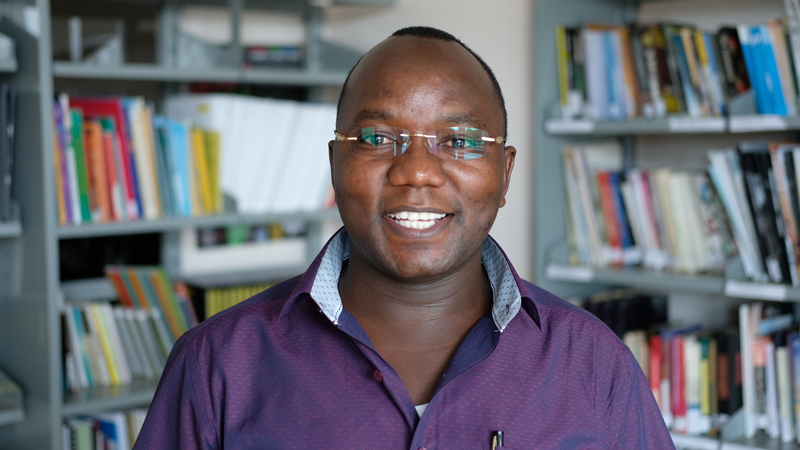 Emmanuel is a research coordinator based in the Kenyan office of Natural Justice. He contributes background research on different environmental justice projects. He has ten years of expertise in Monitoring & Evaluation in the fields of environment, education, governance, livelihoods and social development, aimed at strengthening internal systems of accountability, efficiency, effectiveness and learning with a number of organisations. He has expertise in instituting learning among project stakeholders using interactive discussions, assessment tools and ‘hands-on’ approaches in helping communities and stakeholders learn core environmental justice programme concepts. He has a breadth of technical exposure entailing quantitative and qualitative data analysis techniques using advanced statistical packages. Emmanuel holds a Bachelor of Education degree (Mathematics and Geography) and a Master of Science degree in Environmental Planning and Management, both from Moi University in Kenya. He is currently pursuing a Doctor of Science degree in Environmental Planning and Management at the University of Eldoret in Kenya. He is passionate about sustainable development and the fair distribution of environmental benefits and burdens.